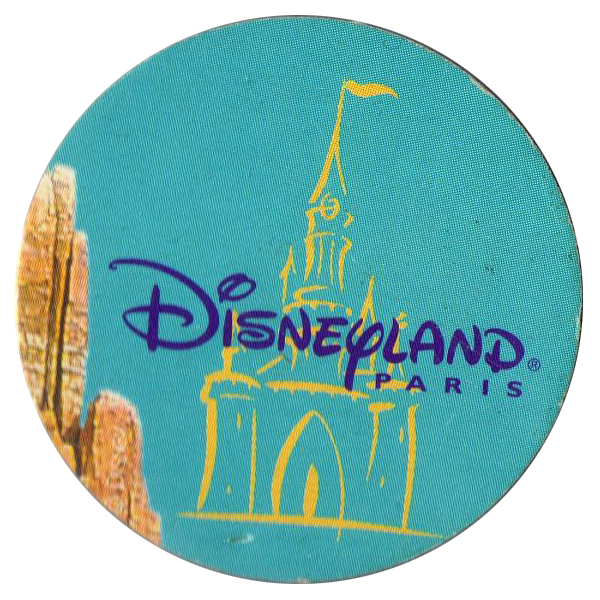 Info:These pogs were likely produced to promote an attraction at Disneyland Paris. 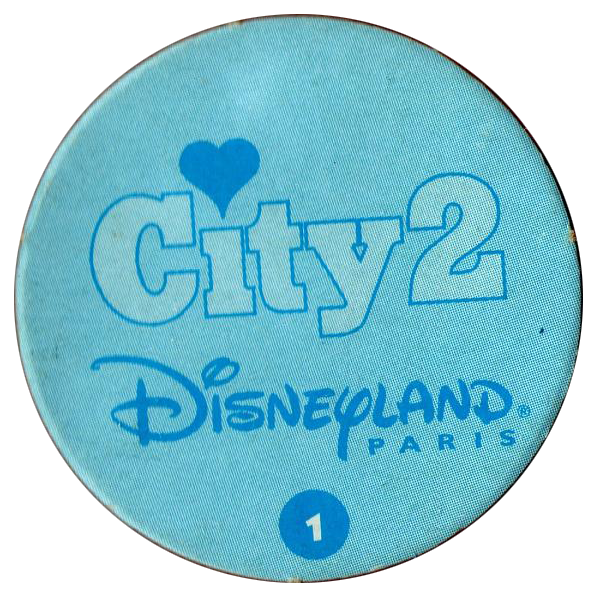 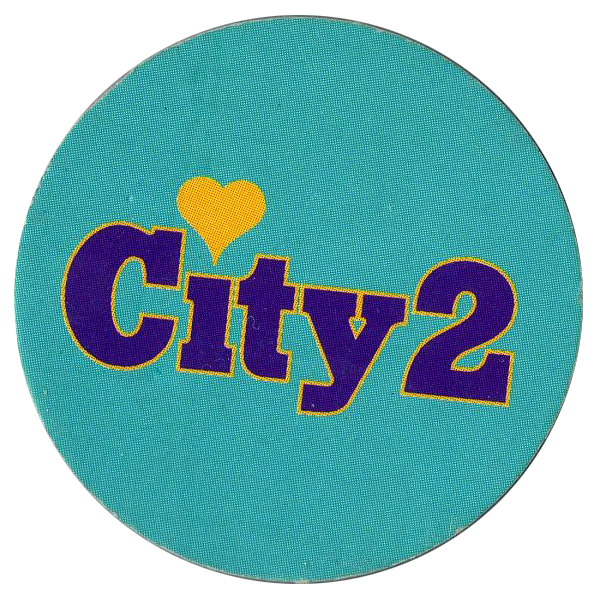 On the back they all have the text 'City2', along with the Disneyland Paris logo and the number of the pog in the set. 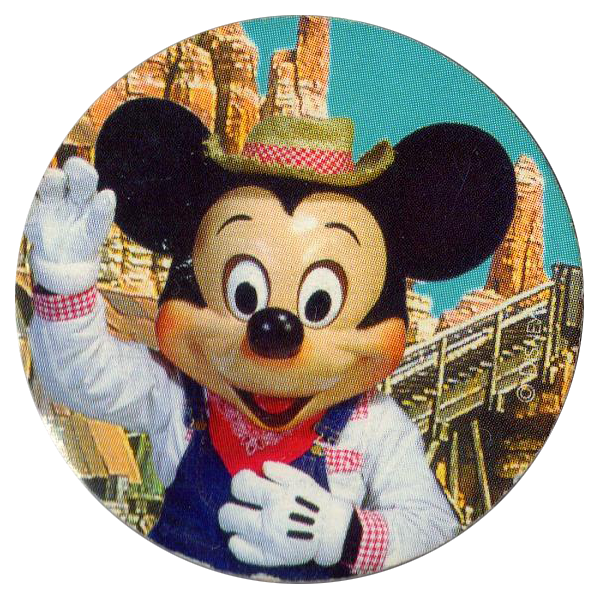 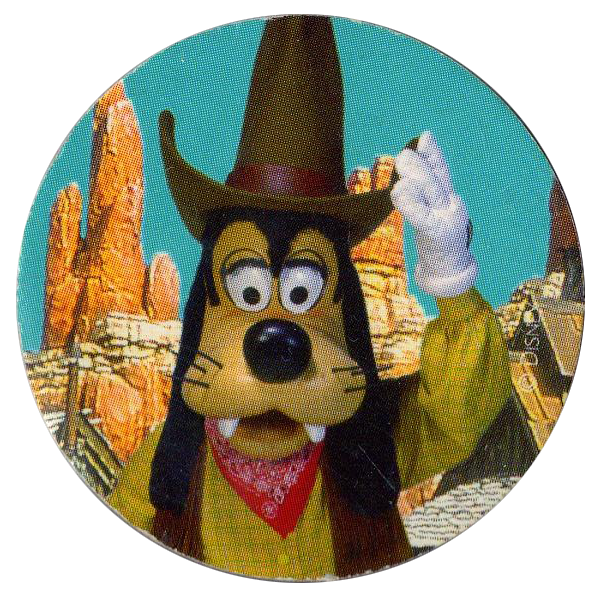 Two of the pogs feature Mickey Mouse and Goofy with a Western theme dress and background.